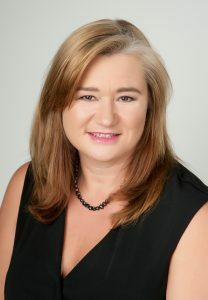 Tania Sellwood, Naturopathic Doctor (ND), the clinic’s Founder, began working in natural medicine in 1994 with her first Massage clinic in Brisbane, Australia. After completion of an Advanced Diploma in Health Science, Tania began work as a qualified Naturopath working in a clinic in Australia blending traditional naturopathy, nutrition and herbal medicine with the modern diagnositics of EAV testing equipment. In 2004 Tania returned to the UK where she established her Naturopath and Massage clinic in Romsey, Hampshire. Tania aims to help people achieve better health through identifying and understanding the underlying cause of their health patterns and to find lasting sustainable ways of improvement without the need for continual ‘hand-holding’ in clinic or repeated regular visits. Tania is very practical in her ideas and offers suggestions for health improvements that are achievable and realistic. Many of Tania’s clients stay with her long after they have improved their health, enjoying regular massages for health management and stress reduction. Tania has grown quite a reputation for giving really great massages that can relax when needed or fix stiff shoulders, or damaged muscles as needed and has clients who have regularly been enjoying the long term benefits of massage for over 10 years now. Tania also holds a diploma in Beauty Therapy. As a practitioner of EAV (Electro Acupuncture Voll), Tania has been working with this technology since 2002 to help quickly pinpoint areas of inbalance and identify changes needed. This is particularly effective where Food Intolerances are concerned. Bringing all of these different elements together within treatments, to really give you the benefit of experience to ensure that you receive the most effective, tailor made treatment at each and every visit you make to The Natural Wellbeing Centre of Romsey.